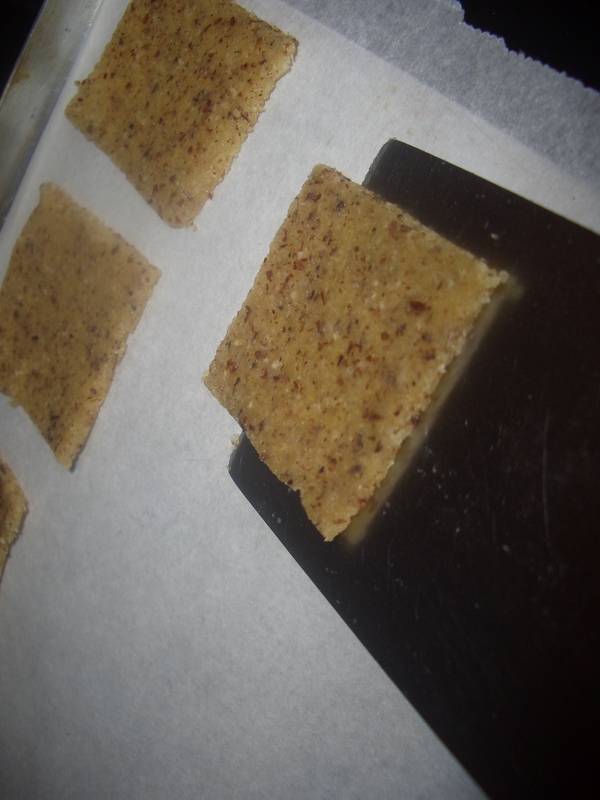 It’s no secret that I love and miss crackers. 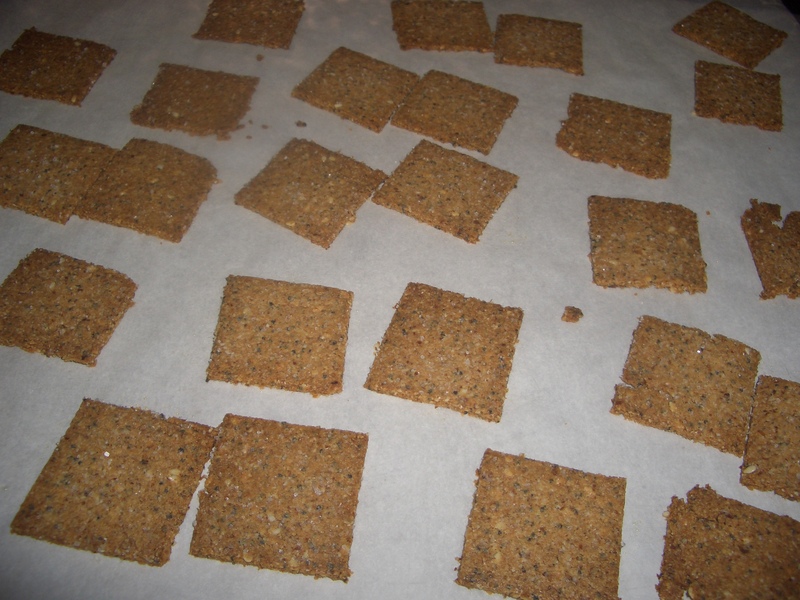 After nine months of paleo, I have finally created really good paleo crackers; the good news is since grains and beans are no-nos on paleo, these are also kosher for Passover. In fact, as Passover approaches, it occurs to me that I don’t have to do anything different from my usual foods to be on board for Passover – how easy is that? 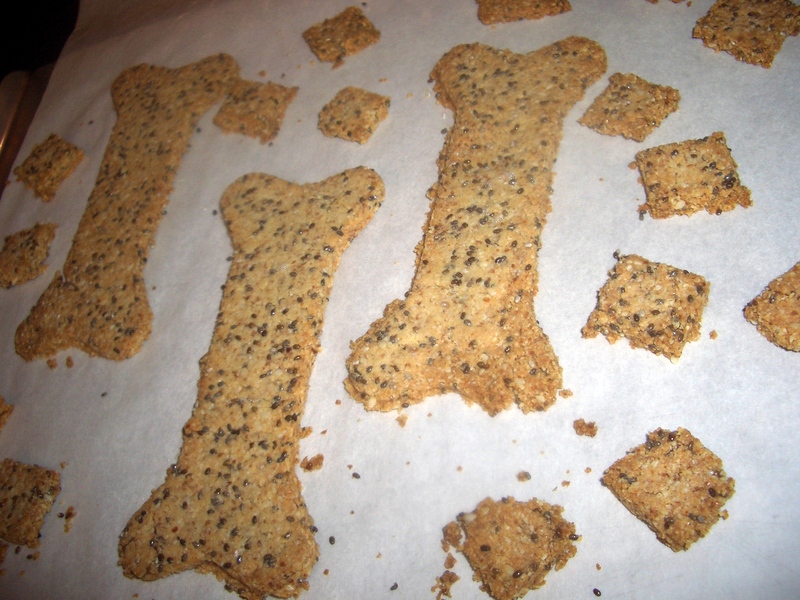 But Paleo Dog Biscuits? 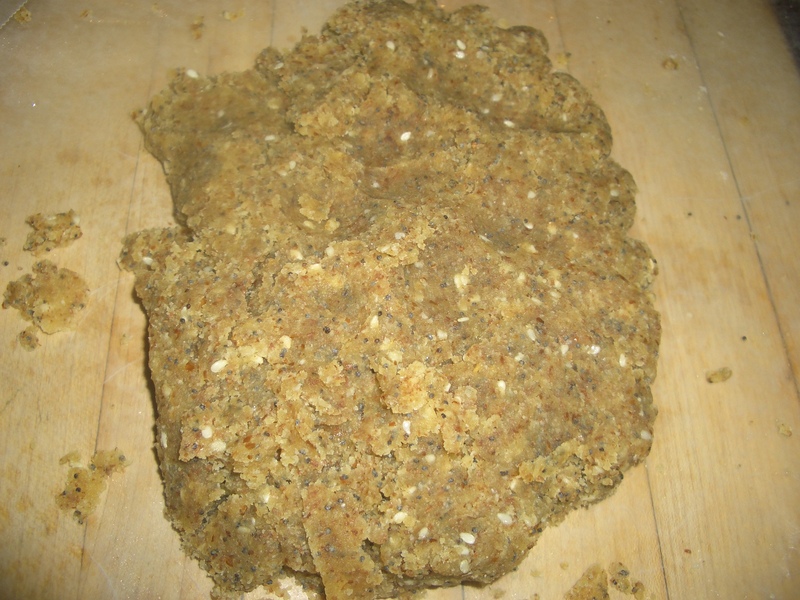 No, I haven’t gone off the deep end…Paleo Dog was not my idea at all. 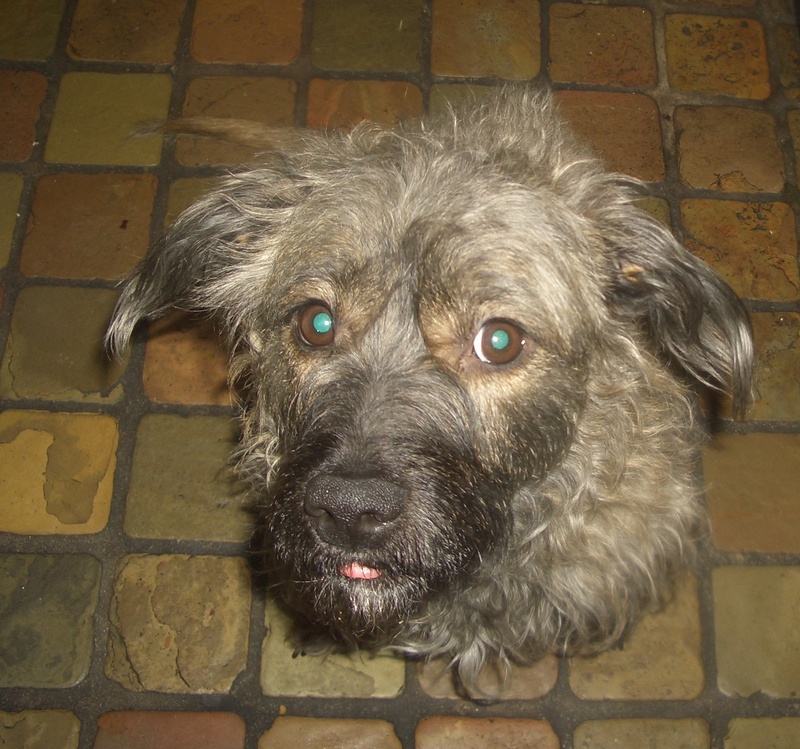 Bella has had several bouts with ear problems and her vet suggested it may be due to allergies and the best thing I can do for her is remove grain, beef, and poultry from her diet. This leaves me with no treats for her. 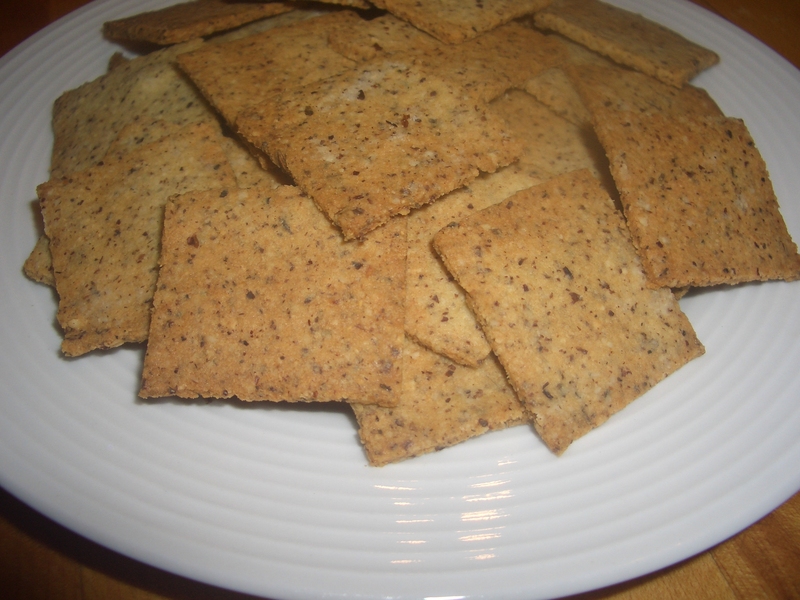 The good news is – she loves these paleo crackers. 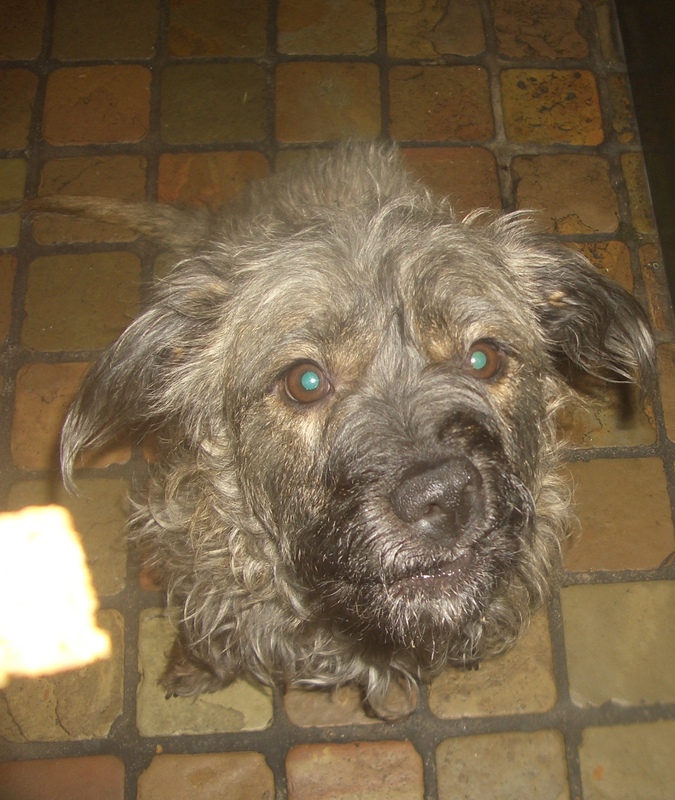 The funny expressions on her face are because she kept licking her chops in anticipation of the “cookie” and I couldn’t photograph her fast enough to show you. 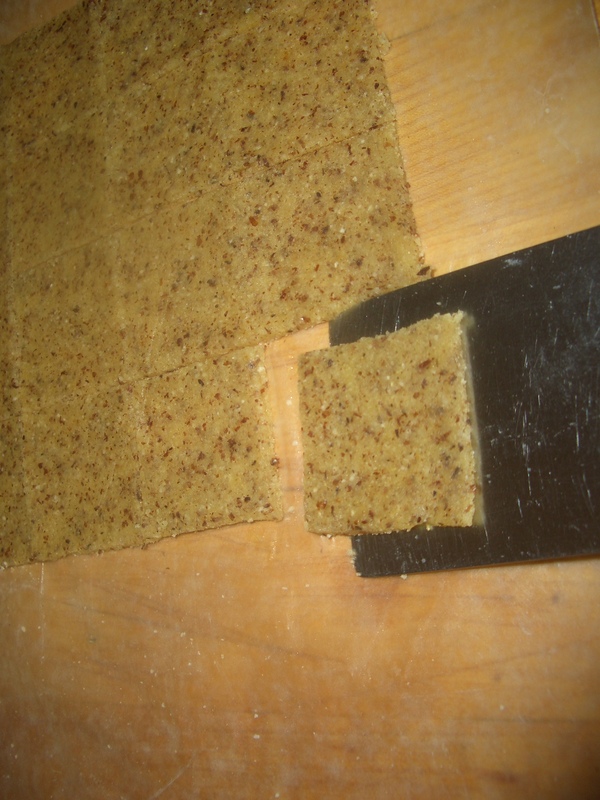 I make these crackers with hazelnut or almond flour (see the previous post to learn how to make it). 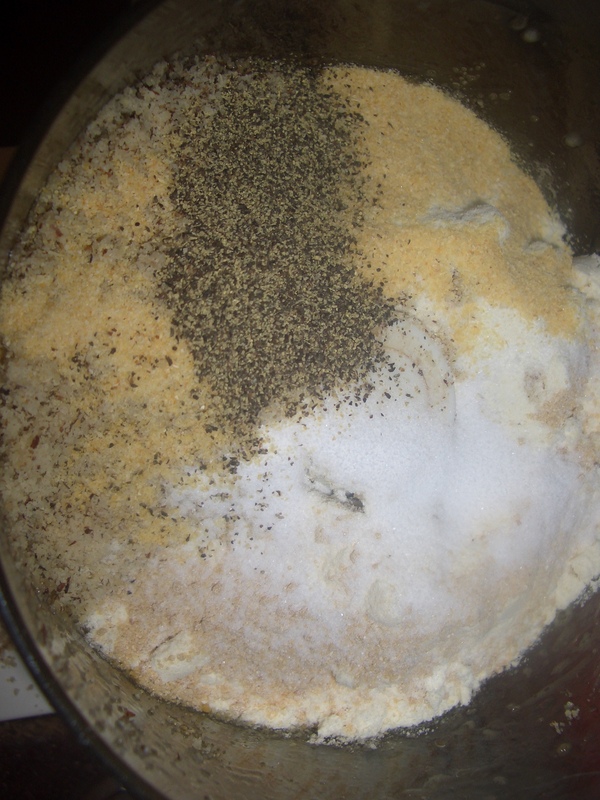 When making them for dogs, omit the seasonings. Preheat oven to 350°F. 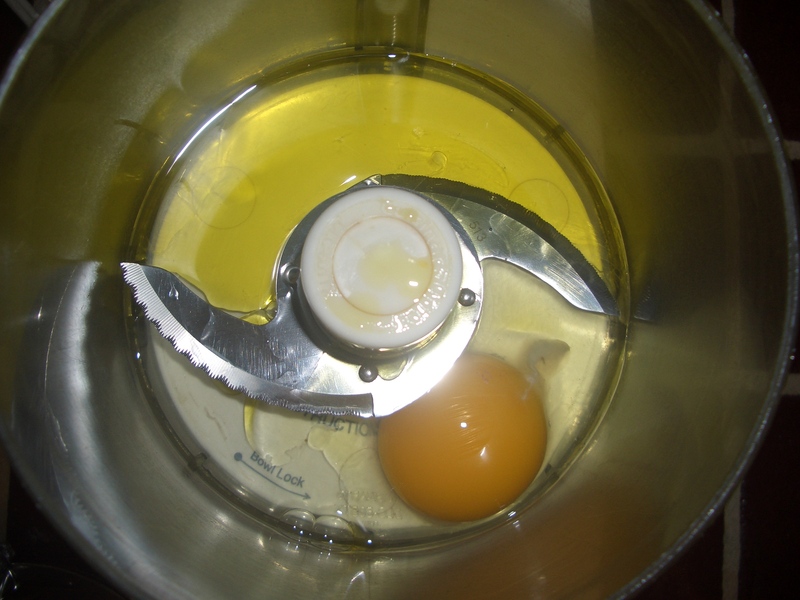 In a food processor combine the egg, oil, and water. 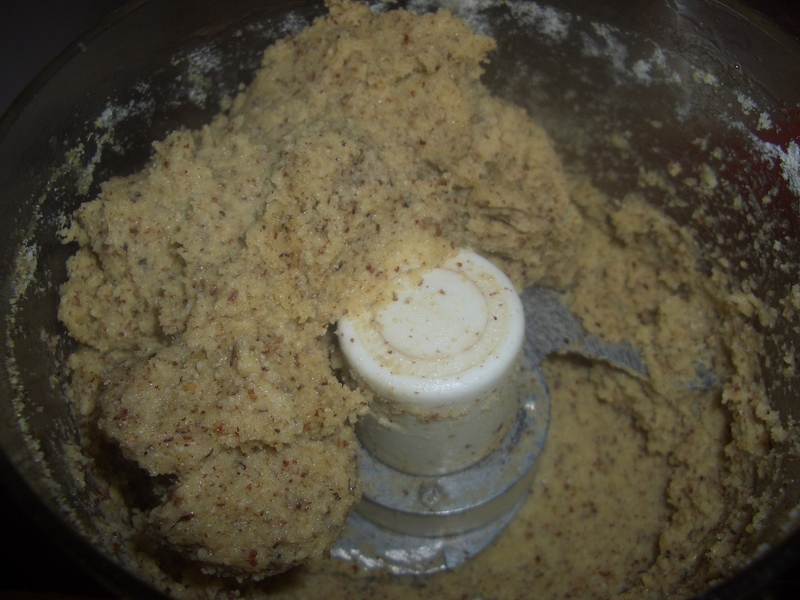 Add the nut flour, coconut flour, sugar, salt, garlic powder, onion powder, black pepper, and any seeds or seasonings you like. 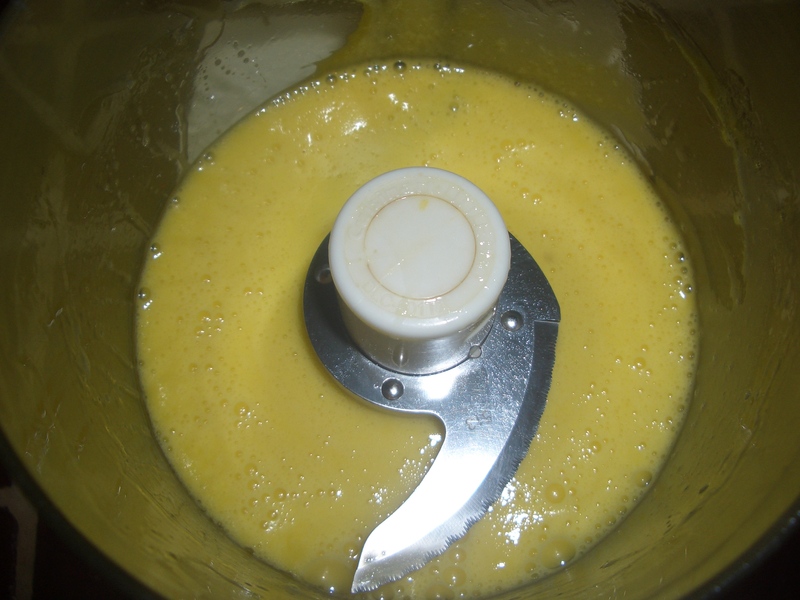 Process until mixture forms a dough; let stand 5 minutes. 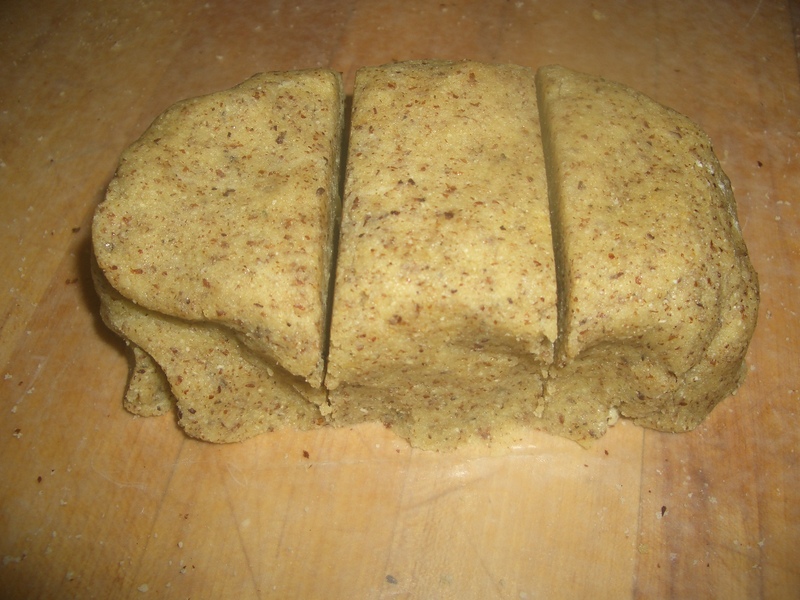 Place on waxed paper and form into a log; cut the log into three pieces; set two pieces aside. 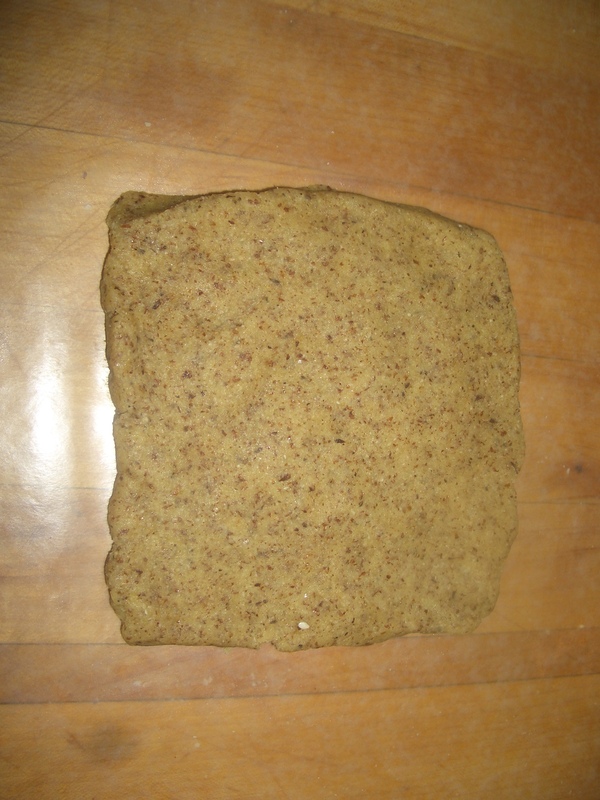 Flatten the first piece of dough on the wax paper into a 5-inch square. 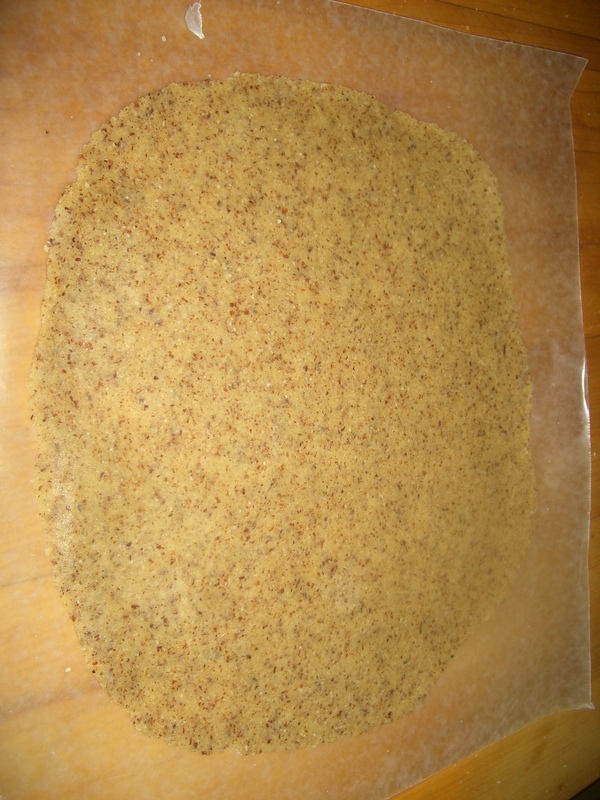 Between two pieces of wax paper, roll it until it becomes a 9-inch square or circle. 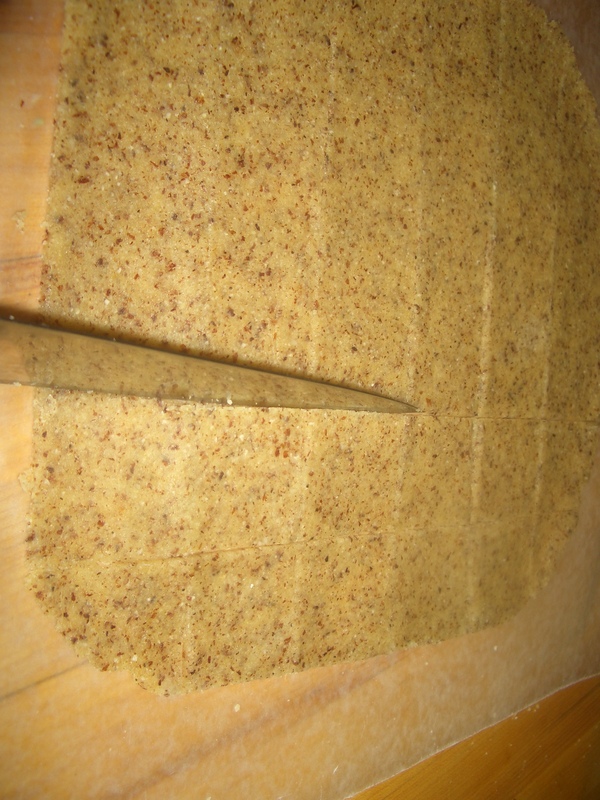 If dough sticks to paper, dust with additional nut flour. 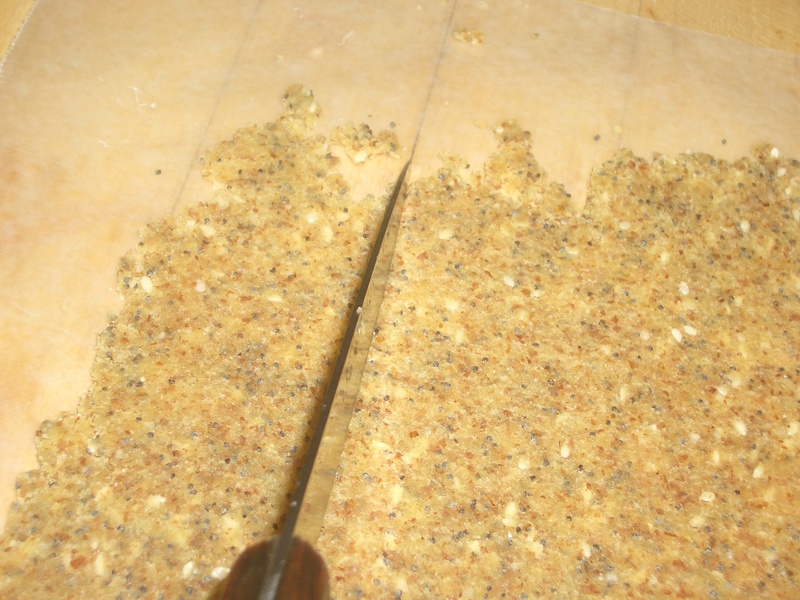 Using a sharp knife or pizza or pastry wheel, cut into squares about 1 1/2-inches – or any size and/or shape you like. 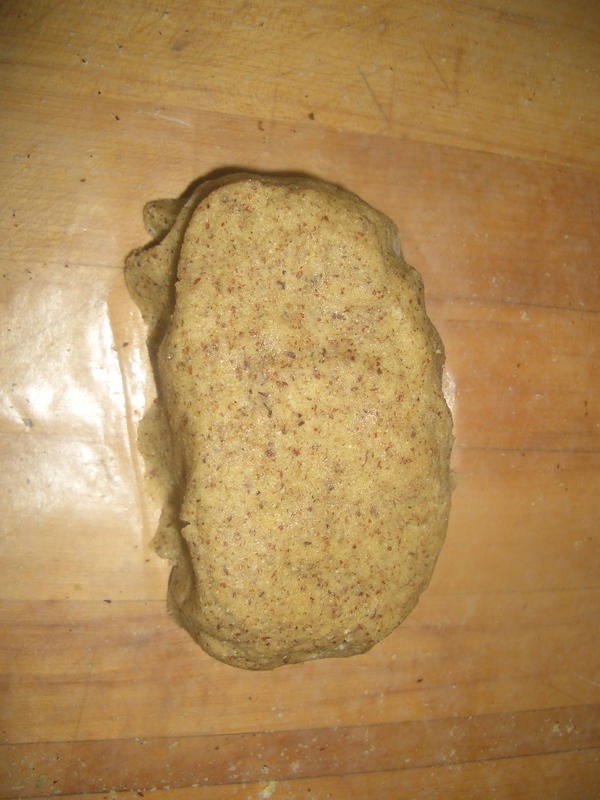 Repeat with the 2 reserved pieces of dough. 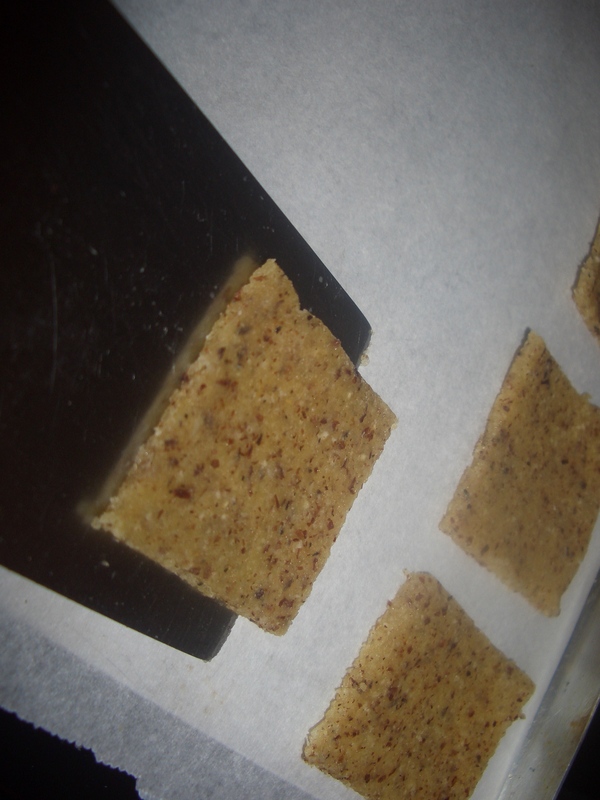 Using a spatula to move the pieces, place on a cookie sheet lined with parchment paper. 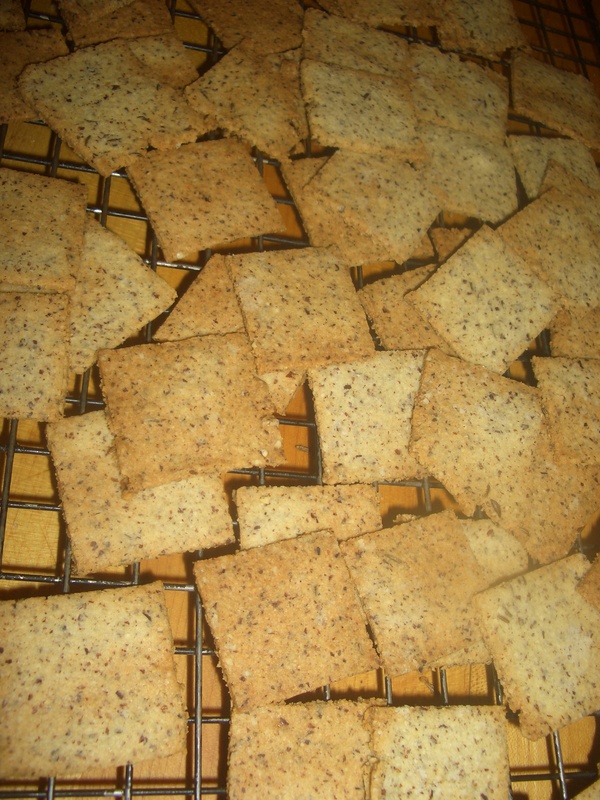 Bake 9 minutes, then check some may be browned – take those off the sheet and continue baking the rest until golden…3 to 5 minutes longer depending on how thick your crackers are. Its such as you read my mind! You appear to grasp so much abbout this, like you wroye the guide in it or something. to drive the message home a bit, however instead of that, that is excellent blog.